This fashion classic starring Anne Hathaway and Meryl Streep has become so iconic that it's a sin if you haven't seen this! 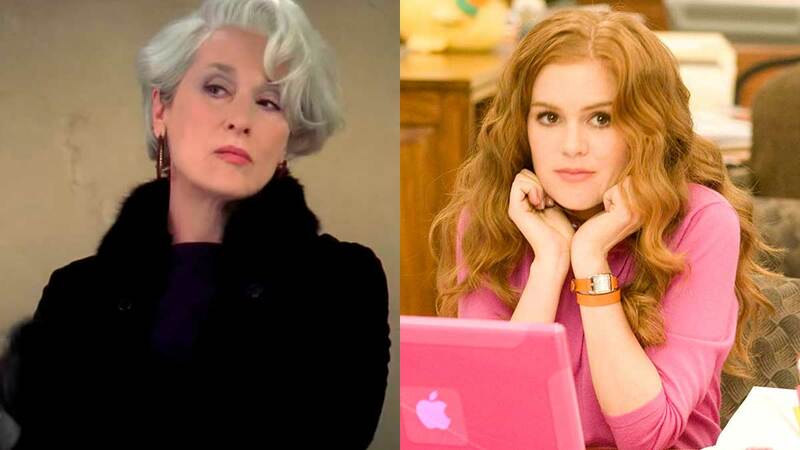 Here, Anne played a clueless personal assistant to Meryl Streep's character, Miranda Priestly. Fun Fact: Miranda is based on Anna Wintour, the current editor-in-chief of Vogue Magazine. This documentary showcases the darker side of fast fashion—most, if not all, of your favorite brands source their products from factories deemed as "sweat shops," with working conditions so harsh workers have resorted to rioting. If you've been meaning to shop more sustainably, this movie is for you! Before the queens on RuPaul's Drag Race slayed our whole lives with looks to die for, voguing clubs in New York started it all. This documentary chronicles different voguing houses, how they used voguing to build camaraderie, and how fashion has become both an outlet and a sanctuary amidst homophobia. Do you own a little black dress? Well, you can probably thank this movie for that! The iconic Givenchy dress Audrey Hepburn wore in this film inspired a look that has transcended time. This glamorous documentary showcases the famous Bergdorf Goodman store in New York, and what it takes for a brand to earn a place there. If you want to know what makes a fashion brand reputable, this film will def lay it down for you! Isla Fisher plays a shopaholic who learns how to settle her credit card debt the hard way. By the end of it, you'll find yourself thinking of how you can look just as good without needing to break some serious bank! Gaspard Uliel's career-defining role is definitely playing the fabulous YSL in this biopic! See how the renowned fashion icon brought his timeless creations to life in this film. Ever wondered why you turn to influencers and celebs for style tips? Anna Wintour started it all! Vogue US' current editor-in-chief started selecting celebrities for Vogue covers when she first took the job, and the magazine hasn't been the same since! This documentary will show you how Vogue's September issue (the meatiest and most demanding issue) is made. Fashion isn't all glitz and glam, especially if you've only got eight weeks to release your first collection! This documentary shows the reality of Raf Simons, creative director of Christian Dior from 2012-2015. I know what you're thinking: what the hell is a heist movie doing on a fashion movie list? Hold up before you skip this one: If you're obsessed with both fashion and celebrities, this is the movie for you! Sandra Bullock plays Debbie Ocean, younger sister of the late Danny Ocean (George Clooney's character in the Ocean's trilogy) who plans to steal the most expensive piece of jewellery at the MET Gala. You'll totally want to give it a rewatch just to see all the outfits again!